Topsoil is the uppermost, outermost layer of soil. It’s usually if the first 6-8 inches of dirt, but it can vary depending on the area. It has a high concentration of organic matter and microorganisms and provides the environment for where the most of the Earth’s biological soil activity occurs. Four elements make up the composition of soil and they are mineral particles, organic matter, water, and air. The varying levels of each element are what make up the skeletal structure of most soils. You can now order topsoil online to help with your landscaping project, making it easier to have access to than ever before. Mineral particles make up 50-80% of the skeletal structure of the soil. The variance of different amount of mineral particles can change the internal matter and effect things such as water drainage and overlying landscape. The second element of organic matter affects soil based on its quantity within the soil. Too much organic matter and too little organic matter can have both positive and negative effects on the soil. For example, a lot of organic matter with make the soil extremely rich in nutrients, but it will also create weak bearing capacities. 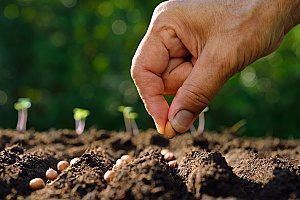 Having a small amount of organic matter is going to make the soil much more stable, but it will lack the necessary nutrients to support plant growth. If you need to buy topsoil for your project, be sure to order topsoil online or speak with a Virginia topsoil contractor for more information. What Are The Common Uses of Topsoil? The first thought people usually have when it comes to topsoil is using it for gardening. While this is true, it’s also not the only use. It can also be used for things like fixing lawn damage and improving rainwater drainage. If you order topsoil online for the purpose of creating a plant bed, you’re going to want to start by spreading about two inches of topsoil over the intended area. Then, it’s very important that you mix it with the currently existing dirt to a depth of about four inches. This is because there may be a huge compositional difference between your topsoil and garden soil, and mixing the two together will create a transactional layer that will prevent drainage problems between the two types of soil. Then add another layer of topsoil to act as the fertilizer and top layer of dirt. It is also extremely handy to order topsoil online to fix lawn damage. It can be used to top-dress bare spots and fill in low areas of grass to help support future grass growth. 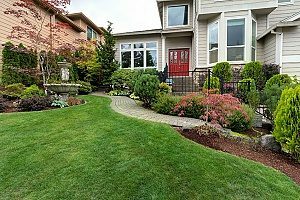 When you do this, you want to make sure that you’re only adding as much topsoil as necessary because the topsoil may not be compatible with the type of grass you have. Using a small amount will provide the grass with just enough fertilization to begin growing in just a few short weeks. If you have areas in your yard that tend to hold a lot of water, you may be able to improve the situation by adding some topsoil. Utilize a sandy soil combined with organic matter (like compost or ground pine bark) and mix it in with the existing dirt to a depth of about 12 inches. Changing the composition of your current dirt will allow water to drain far more successfully. 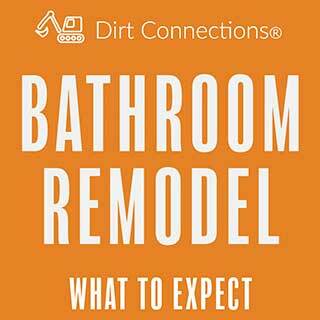 In each of the projects, it’s very important that you don’t use another kind of dirt. This is because the second most common type of dirt, known as fill dirt, is unable to support any plant growth. Fill dirt is composed of broken down rocks, clay, and sand. Fill dirt get its name because it’s used for filling holes and creating foundations for houses or low points in the ground. 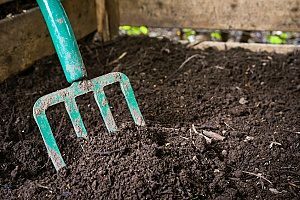 Fill dirt is taken from the ground and is found approximately six inches below the top layer, of nutrient-rich topsoil. The reason it is so different from topsoil is that it lacks organic matter. This organic matter is what makes topsoil so great for farming or gardening. You need organic matter to give your dirt the necessary nutrients to support life. Order topsoil online as opposed to fill dirt if you plan to grow plants. 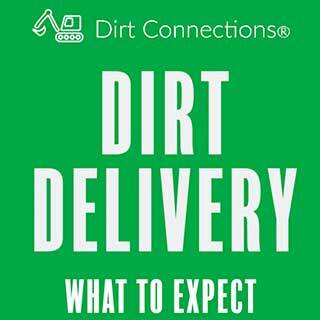 Fill dirt has many uses, but it should never be used in a situation where you are trying to make something grow. For example, if you use fill dirt to fill in a bare spot of grass, the grass is never going to be able to grow there and in a few weeks, you will still just have a patch of dirt. This soil is light, warm, day and tends to be acidic and low in nutrients. 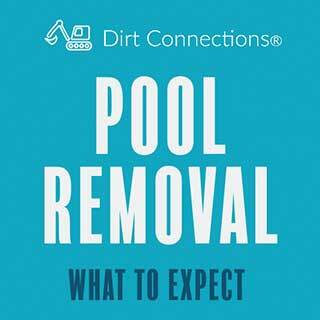 It’s quicker to warm up in the summer, but because of it’s quick drainage, it also tends to get very dry in the summer. This is a much heavier soil than sandy soil and it is much higher in nutrients. It remains wet and cold in the winter and can dry out in the summer. Clay soil is made up of 25% clay, and because there is a lot of space between the clay particles in the soil, the dirt is able to retain a high amount of water. This is a light and moisture retentive soil with a high fertility rate. It’s composed of medium-sized particles that allow for water to be retained and drain at an ideal rate. The downside to this soil is that it tends to be very fine, so it can be easily washed away by rain. This soil is very high in organic matter and is able to retain a lot of water. Peat soil is rarely found in gardens and is rather optimized for creating a solid base for planting. This soil can either be light or heavy, but it is always highly alkaline because of the calcium carbonate or lime within its structure. Because this soil is alkaline, it will not support the growth of ericaceous plants that require acidic soils to grow. This soil is a mixture of sand, silt, and clay that is combined to avoid the negative effects of each type of dirt. Loam soil is very easy to work with and provides really good water drainage. Loam soil is considered to be the most ideal and universal type of soil to garden with.